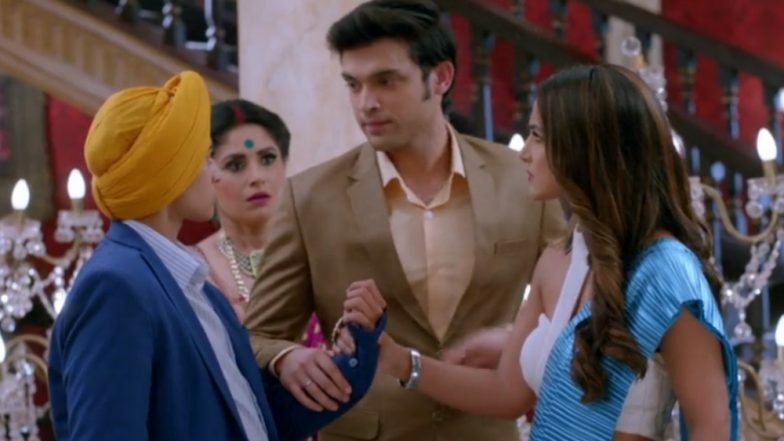 Today’s episode of Kasautii Zindagii Kay 2 starts with Prerna (Erica Fernandes) signing the papers and the police taking her inside the jail as she flashbacks what all happened and how Anurag (Parth Samthaan) did not support her and gets emotional. There as Anurag is coming to the police station to release Prerna and thinks he has to take her out as Komolika was saying that she will torture Prerna in the jail. Meanwhile, Veena asks Shivani why she is crying and that she has to be strong after what all happened and that she is not afraid of Ronit and till she is alive she will make sure her daughters are saved. Veena tells that she will go to meet the boy’s family and everything will be normal, just then Shivani gets a call from Anupam who informs her that Prerna is in jail. There Komolika and Nivedita tell Mohini to call her friends and that they will have a party to celebrate. Komolika tells Mohini that today she will tell everyone that she is only the real daughter-in-law of Basu house. Komolika is so happy and decorates Anurag’s room as from today this room will be her’s and today will be her first night. Seeing Anupam, Komolika asks why he was helping Prerna and gets angry with him and taunts him as he does not work and just enjoy in this home. There the police tell Prerna that someone has come to meet her, when she sees Anurag she gets angry and tells she does not want to talk with him. Prerna cries and tells that he is a fake person and is playing with her life and that it was her fault that she fell in love with him and if Veena comes to know that she is in jail then she will die. Anurag asks forgiveness from her for whatever happened (Tere bina ji na payuga track is played in the background). Anurag tells that he is doing this all so that she is safe. Just then the inspector asks why he is here, Anurag says that Prerna is his wife and that Komolika has come between them. Anurag tells the inspector do to all the formalities so that Prerna is released from the jail. Anurag tells that he will tell her everything and the world that Prerna is only her wife, just then Komolika comes there and tells how dare he ditched her, Anurag tells that Prerna is his wife and that he will save her. Komolika asks Anurag did he forget the deed which he has signed, and tells him that she will destroy both of their family. Anurag warns her not to do anything or else he will not leave her. In the precap, Prerna is telling Anurag that the sindoor she has put have made him close to her and that she will never leave him and go.